Brow Lifts are a great way to reduce the appearance of crows feet and signs of aging. Ladies work tirelessly at achieving the perfect seagull wing eyebrow look. Some people naturally have a nice lift in the outer portion of the eyebrows. Others don’t and may also have excess skin hooding over the outer part of the eye. 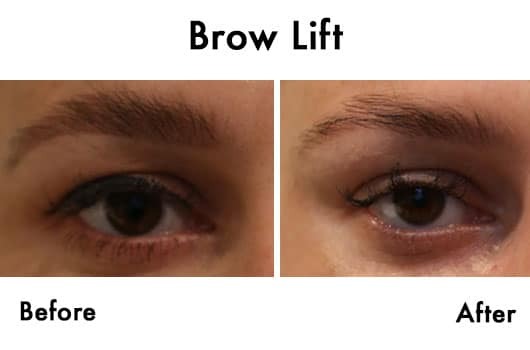 A frequently performed, and often highly effective procedure is the non-surgical brow lift in Dublin. When Anti Wrinkle Injections are injected into the area, the muscle can no longer pull the corner of the eyebrow down and a ‘brow lift’ can result. The result is usually milder than an actual surgical brow lift, but can give very pleasing results, ‘opening’ the eyes up and revealing more of the upper eyelid.